Barinya was quick to begin. Full Of Dough was slow to begin. Militant Mack and Full Of Dough collided soon after the start. Militant Mack and Zambora Lord collided in the back straight. Militant Mack and Magical Diamond collided on the first turn checking Magical Diamond. Blue Berty checked off Zambora Lord approaching the home turn. Full Of Dough was vetted following the event. It was reported that the greyhound sustained an injury to the right shoulder. A stand down period of 3 days was imposed. Cut Snake was slow to begin. Gazza's Girl and Black Talon collided soon after the start checking Gazza's Girl. My Real Deal and Zambora Ella collided soon after the start. Cut Snake and Shandy Lear collided approaching the first turn. My Real Deal, Zambora Ella, Cut Snake and Shandy Lear collided on the first turn checking Shandy Lear and severely checking Zambora Ella. Gazza's Girl and Zambora Ella collided approaching the home turn. Cut Snake clipped the heels of Schatzie Armo on the home turn. Gazza's Girl and Shandy Lear collided entering the home straight. Black Talon and Cut Snake collided approaching the winning post. Cut Snake was vetted following the event. It was reported that the greyhound sustained a left groin injury. A stand down down period of 3 days was imposed. Blazing Major was slow to begin. Blazing Major and Hot Jean collided soon after the start and several times approaching the first turn. Hit Me Up and I'm All One collided approaching the first turn. Jar Man and Italian Plastic collided approaching the first turn. I'm All One and Hot Jean collided on the first turn. Spider Regis and Hit Me Up collided on the first turn. Hit Me Up and Hot Jean collided approaching the home turn. Pat Malone galloped on the heels of I'm All One approaching the home turn. Hit Me Up, Blazing Major and Hot Jean collided entering the home straight. A sample was taken from Italian Plastic, winner of the event. Emgee Sprinter was slow to begin. Talbragar River and Hey Duggee collided on the first turn checking Hey Duggee. Shark Tank and Rippa Regis collided approaching the second turn. Shark Tank and Rippa Regis collided approaching the home turn. Royal Solo checked off Rippa Regis on the home turn. Emgee Sprinter and Hey Duggee collided in the home straight. Shark Tank was vetted following the event. It was reported that the greyhound sustained a spike wound to the right hind foot. No stand down period was imposed. A sample was taken from Lucille Dior, winner of the event. White Ambush was quick to begin. Meehan Roy and Lost Love collided soon after the start. Teflon Toby, Nangar Warrior, Meehan Roy and Lost Love collided soon after the start. Lost Love and Teflon Toby collided on the home turn. Nangar Warrior and White Ambush collided entering the home straight. Meehan Blue, Parcero Hope and Meehan Roy raced wide in the home straight. A pre-race sample was taken from Kouta Gold. Cosmic Act and Champagne Luxe were quick to begin. Kouta Gold and Tuska were slow to begin. Kouta Gold and Dat Dat Daty collided soon after the start. Dat Dat Daty and Tuska collided soon after the start. Blackpool Donny and Winlock Strecker collided in the home straight. Down Mexico, Chevsta, Joycee Rae and Dyna Elias collided on the first turn severely checking Joycee Rae. Down Mexico Way, Chevsta and Dyna Elias collided entering the back straight checking Down Mexico Way and severely checking Chevsta. A sample was taken from Extra Gear, winner of the event. A pre-race sample was taken from Undisputed. Undisputed and Southwood Ace were slow to begin. Japika Gold, Double Explosion and Longshot Glory collided approaching the first turn checking Double Explosion. Mickie Raven, Japika Gold and Longshot Glory collided on the first turn checking Japika Gold. Japika Gold galloped on the heels of Black Valentine approaching the home turn severely checking Japika Gold. Longshot Glory and Southwood Ace collided on the home turn checking Southwood Ace. Japika Gold was vetted following the event. It was reported that there was no apparent injury found. Inside Game and Cosmic Moments collided approaching the first turn. Cosmic Moments, Saltbush Bill and Seabrook Indi collided on the first turn checking Cosmic Moments and severely checking Seabrook Indi and Saltbush Bill. Inside Game and Jacko Day collided on the home turn. Stewards spoke to Mr. M. Briganti, the trainer of Impala regarding the length of time the greyhound has had between races. Impala last raced on 14th January 2018. Mr. Briganti stated that the greyhound was returning to racing from being seasonal. Backin' Bully was presented to the vet prior to racing in this event for an early race request. Backin' Bully was passed to race early. Placid Murphy was slow to begin. Dubovka, Last Outlaw and Fizzy Bale collided soon after the start. Roll 'Em Maggie, Dubovka and Last Outlaw collided approaching the first turn. Roll 'Em Maggie, Last Outlaw and Backin' Bully collided on the first turn checking Last Outlaw and Dubovka. Dubovka and Placid Murphy collided on the first turn severely checking both greyhounds. Stewards spoke to Mr. N. Jarvis, the trainer of Fair Ride regarding the length of time the greyhound has had between races. Fair Ride last raced on 15th December 2017. Mr. Jarvis stated that the greyhound was returning to racing from being seasonal. Stewards spoke to Ms. L. Hellmuth, the trainer of Full Loop regarding the length of time the greyhound has had between races. Full Loop last raced on 15th December 2017. 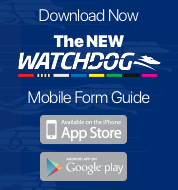 Full Loop stated that the greyhound was returning to racing from a right stopper injury. A pre-race sample was taken from Full Loop. Fair Ride and No Money Down collided soon after the start. Waikiki Creek and No Money Down collided approaching the first turn. Stellar Flash, No Money Down and Waikiki Creek collided on the first turn checking Stellar Flash. Fair Ride and Fairy Vixen collided on the first turn. No Money Down and Fair Ride collided approaching the home turn. Waikiki Creek, Fair Ride and No Money Down collided on the home turn checking Fair Ride and No Money Down. Fairy Vixen and Soft Music collided in the home straight. Satisfactory Trial Results - Flamin' Miracle trialled over the 425mt from box 1, weight 27.4kg, the greyhound was placed 2nd in a field of 4. The time of the trial was 24.36, the greyhound was beaten by a margin of 0.5L. Flamin' Miracle was not cleared. 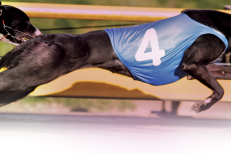 Satisfactory Trial Results - Mystic Riot trialled over the 425mt from box 3, weight 28.4kg, the greyhound was placed 4th in a field of 4. The time of the trial was 24.36, the greyhound was beaten by a margin of 3.25L. Mystic Riot was not cleared. Satisfactory Trial Results - Kid Ringo trialled over the 425mt from box 8, weight 33.0kg, the greyhound was placed 1st in a field of 4. The time of the trial was 24.36, the greyhound won by a margin of 0.5L. Kid Ringo was cleared. Re-Vetted Greyhound - Oz Ten Tatiuos was presented for a re-vet at the conclusion of kennelling and was cleared to race. Re-Vetted Greyhound - Kung Fu Hustle was presented for a re-vet at the conclusion of kennelling and was cleared to race.